The SLiCK SM70 cook’s right through the year in the UK. When the sun is shining, you’re cooking. Designed for mobility the SM70 sets up in seconds. Using the SLiCK Shadow-Line tool, the powerful reflectors concentrate maximum power onto the cook tube – watch the temperature rise!. 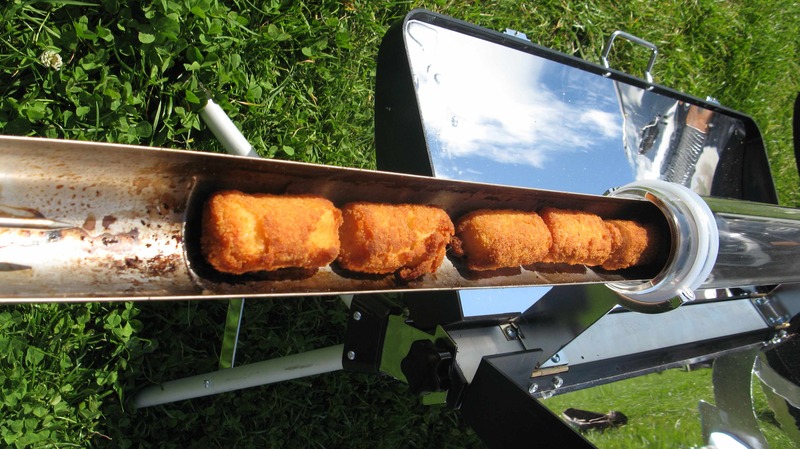 This is a precision solar-thermal device, converting direct sunlight into useful cooking heat. 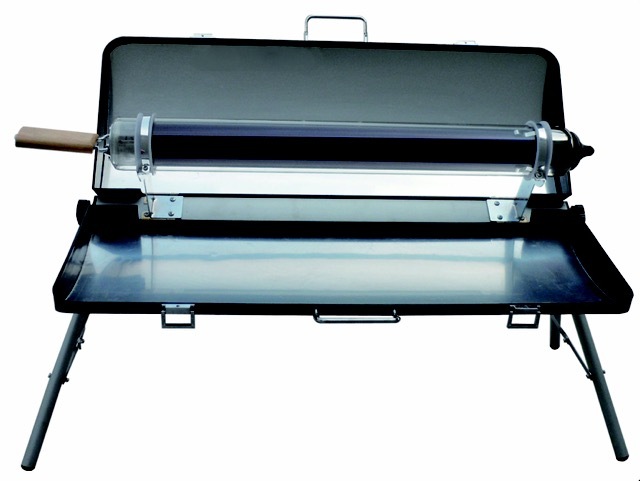 The vacuum cooking tube acts as a thermos flask when clouds appear – maintaining a steady heat, thoughout the day. 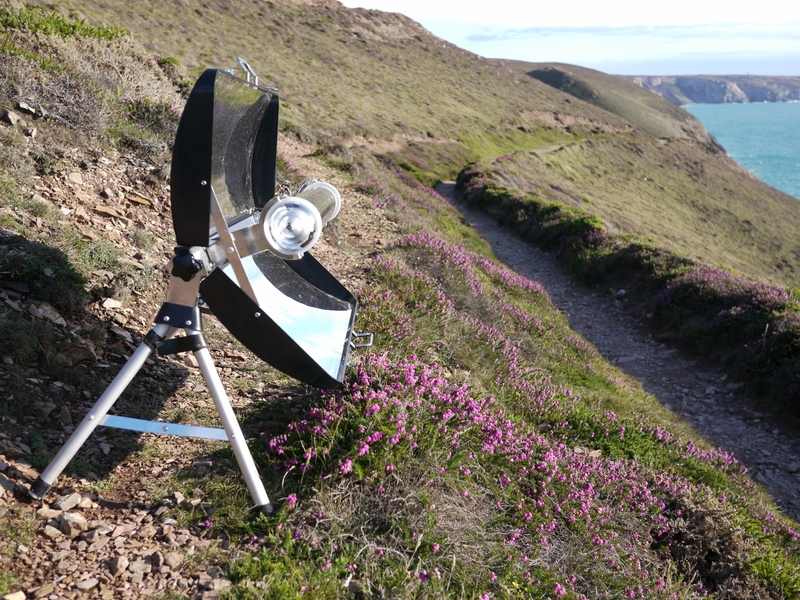 The SLICK SM70 design is optimal for the UK and similar areas with variable solar conditions. 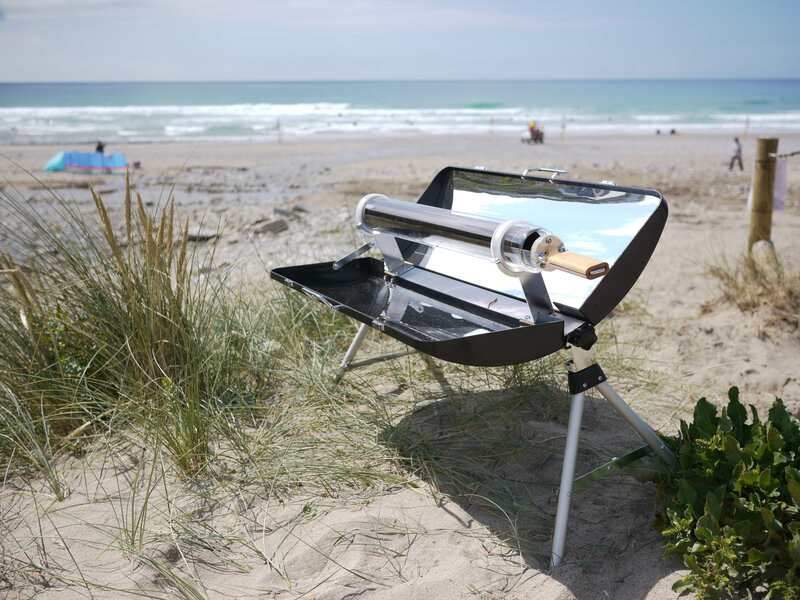 Using the stainless steel SLiCK cooking tray insert you can cook meats, vegetables, stews, bread and cake bakes – baking, broiling, grilling is possible as you develop your solar cooking skills. 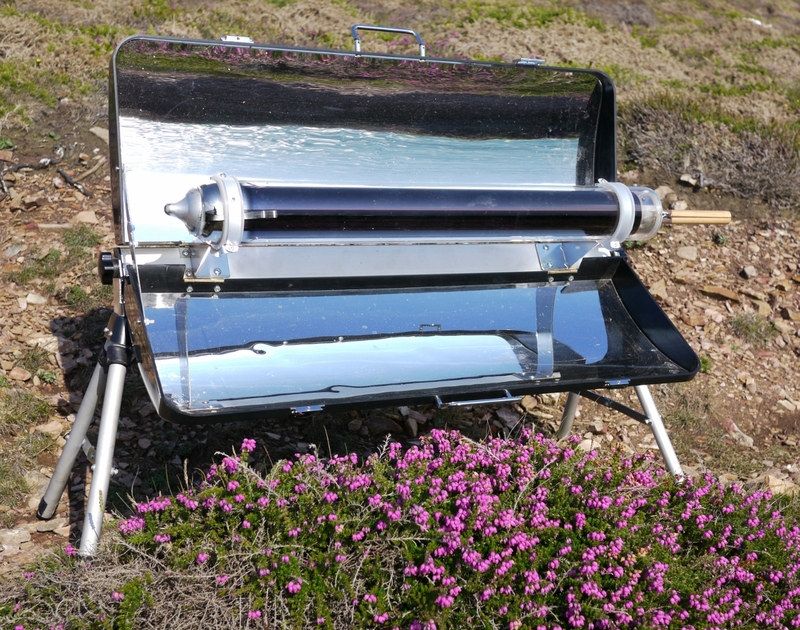 You will use ZERO fuel – a solar cooker is the cleanest cook stove available. No other cooker has such Seriously Low Impact. There are no emissions except from your food; no charcoal smoke and no ash. 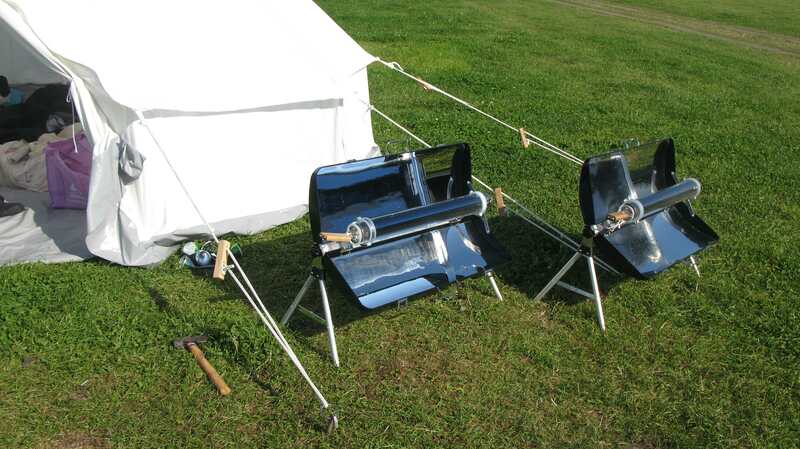 No gas is required – why Frack when you can Solar Cook? Leave the power in the grid and cook clean when you can. You will save money with each use. 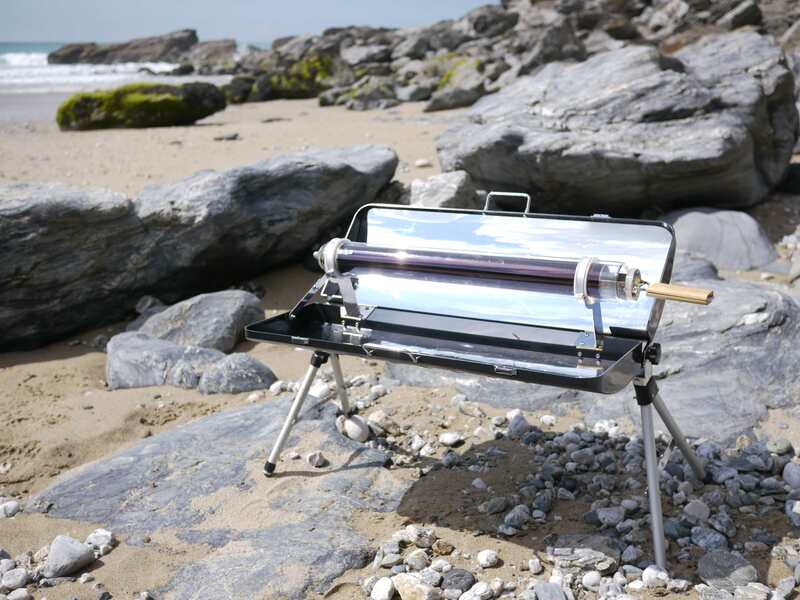 The SLiCK SM70 solar cooker allows you to cook where BBQs are not allowed due to danger and smoke. 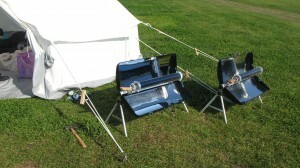 Learning to use the SM70 is easy and you will progress as a solar chef to cook food as you like it, using only sunlight. 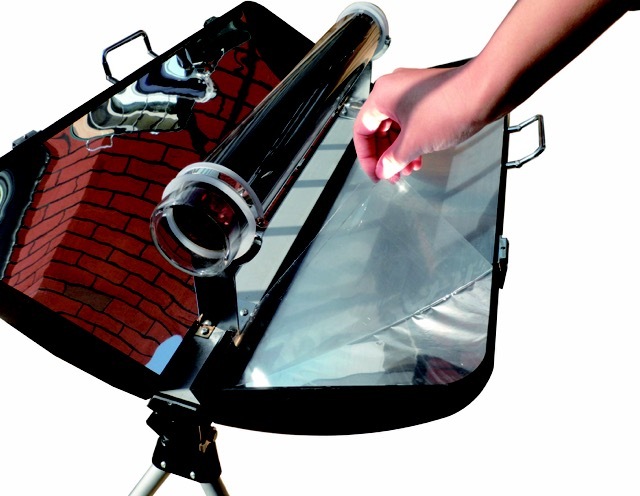 You will quickly establish your method for cooking long food – kebabs, sausage, diced vegetables, finger breads and cakes – another world of low-impact cooking is possible with our UK ready solar cooker. 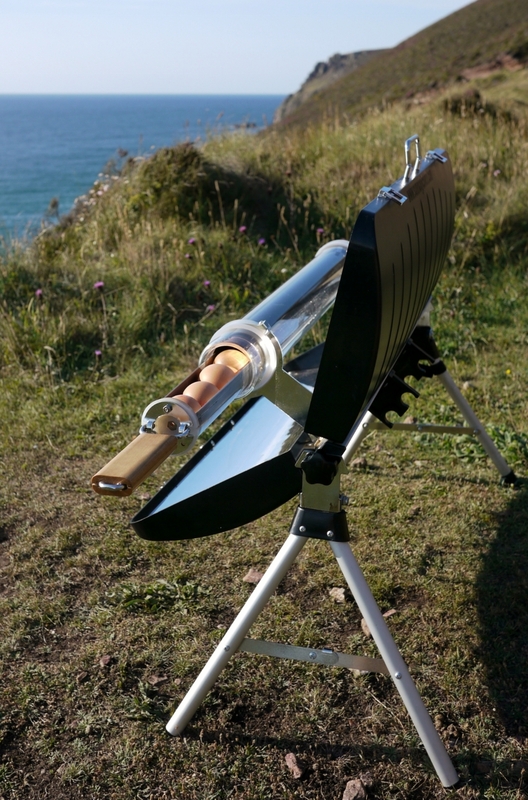 Amaze and educate your friends and family with the UK’s first all year solar cooker. Join us on our serious mission for zero fossil fuel use, zero emissions and zero waste in cooking. 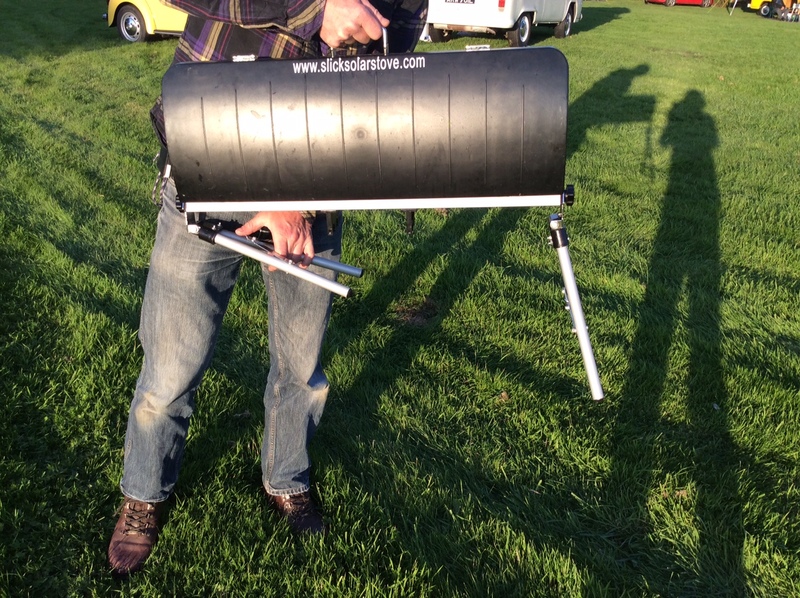 Use the SLiCK SM70 with a rocket Stove for maximum low impact allowing you to cook in all conditions. 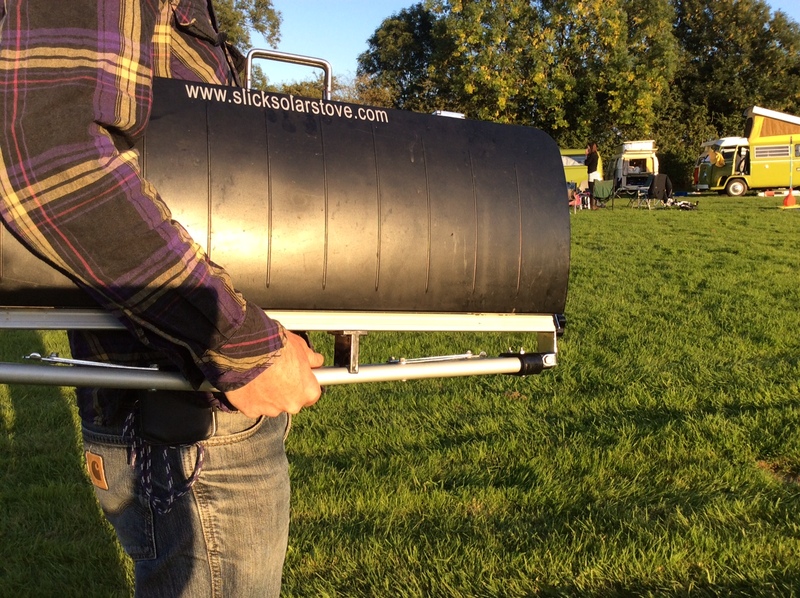 SLiCK is bringing you options for Seriously Low Impact Cooking. Contact SLiCK for further information, advice and training courses – for a fuel free cooking future! 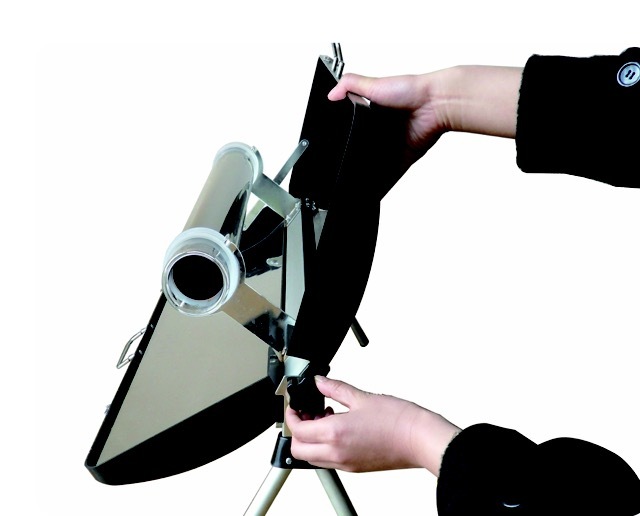 Safety Note: The SM70 generates high temperatures from concentrated sunlight. We recommend the use of sun-glasses when operating, and please protect your hands from the hot food tray with oven gloves. Steam from the food is emitted from the SM70 during cooking, Children and animals should always be supervised when using heat emitting devices. Do not leave the cooker unattended. 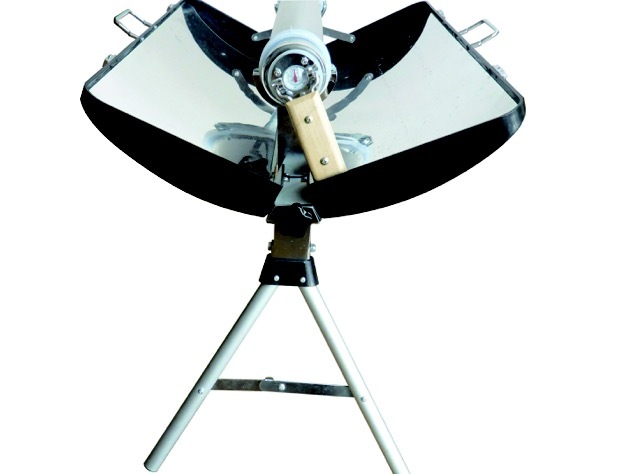 Understanding the power of solar cooking will ensure best results.